Died of wounds - wounded in the neck by a sniper. Any other information? He enlisted in October 1914, and arrived in France on the 28 February 1915. Pre war occupation was an iron moulder for the Clay Cross Company. He had 2 brothers who were also in the army. In 1916 Augusta Buxton remarried, to Mr George Sealey. 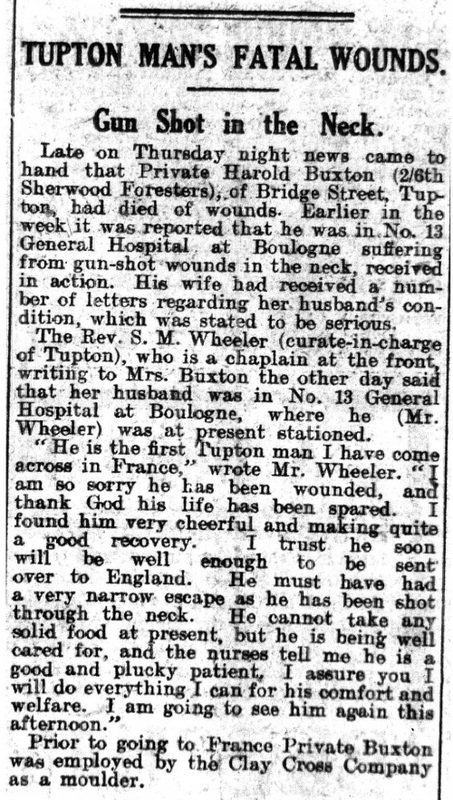 Given the information available, it is very possible that Harold Buxton was was awarded the 1914-15 star campaign medal of the British Empire for his service in World War One. Given the information available it is likely that Harold Buxton was entitled to the Victory medal, also called the Inter Allied Victory Medal. 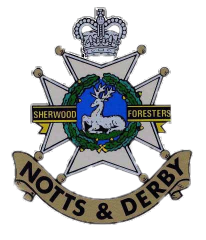 This medal was awarded to all who received the 1914 Star or 1914-15 Star and, with certain exceptions, to those who received the British War Medal. It was never awarded alone. These three medals were sometimes irreverently referred to as Pip, Squeak and Wilfred. 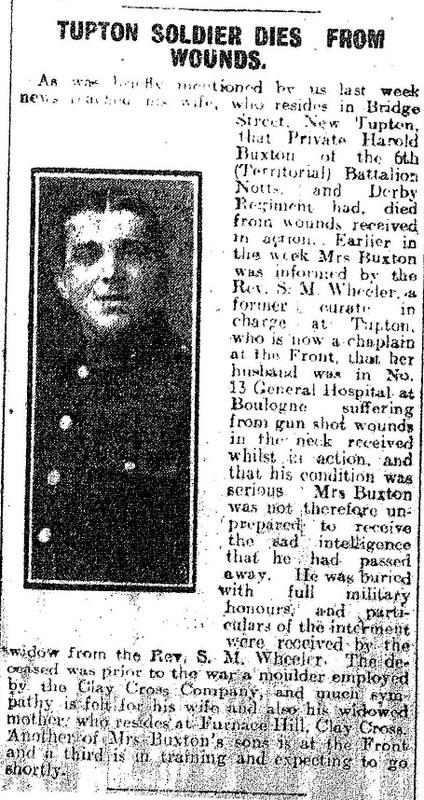 From the information available, it is very possible that Harold Buxton was entitled to the British War Medal for service in World War One. This British Empire campaign medal was issued for services between 5th August 1914 and 11th November 1918.